We just returned from beautiful Mexico to start our first round of House Sits for the next 6 months. Our first sit of 2019 took us to the Beaches, Toronto Canada, an area which we had not had an opportunity to fully explore before. The weather was on the cooler side (not like Mexico!) so we had a little adjustment to make. The Beaches is a neighbourhood in Toronto Canada, so called because of the four beaches (Balmy Beach, Scarboro Beach, Kew Beach and Woodbine Beach) situated on Lake Ontario. It is located east of downtown within the “Old” City of Toronto. It stretches from Victoria Park Avenue on the East to Kingston Road on the north, Coxwell Avenue on the west and south to Lake Ontario. The area is characterized by a large number of stores along Queen Street East making shopping ideal. The beach itself is a stretch of sandy shoreline with a long boardwalk that runs along most of its length. 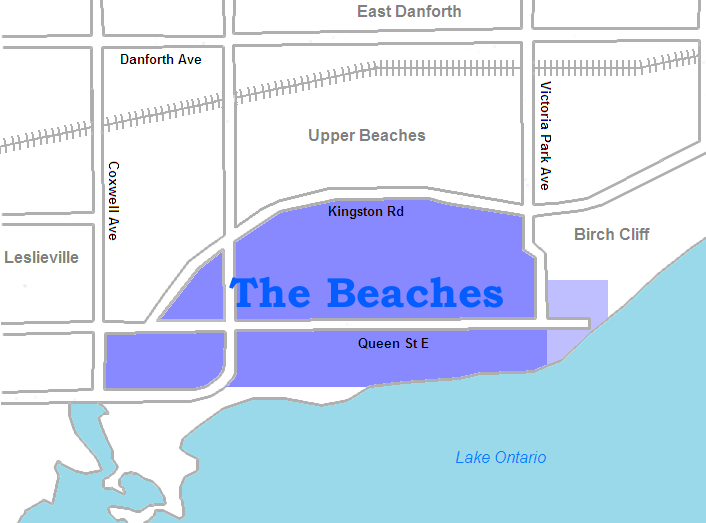 The name, “The Beaches,” has been a long-standing dispute with some local residents claiming The Beach is the proper historical name. However, “The Beaches” is more commonly recognized, especially by non-residents. The dispute escalated in 1985 when the City of Toronto installed 14 street signs designating the area as “The Beaches.” Eventually the signs were removed although it is still officially designated as The Beaches by the municipal government. In 2006, the Beaches BIA (Business Improvement Area) cast a vote to place “The Beach” on signs on new lampposts planned over the summer, but local outrage put a stop to that. What is interesting to note though is that the BIA followed the decision to rescind with a poll (by ballot, in person and online.) Fifty-eight percent (58%) of respondents chose “The Beach” as the name to appear on signs. In addition to all the great shopping boutiques, there are several eating establishments in the area. We enjoyed an amazing gluten free vegetarian pizza at Pizzaiola and took a stroll to Murphy’s Law Pub and Kitchen, where we enjoyed the delicious Thai Green Curry and Chicken Pot Pie – yummy! Both places were within walking distance of our house sit. Regardless of whether you want to refer to it as The Beaches or The Beach, it is a beautiful place and we were so lucky to be able to live there for a week and enjoy the area. We arrived at our house sit the night before our host’s departure as we knew she would want to get an early start in the morning. We were welcomed by Janet, a very attractive, intelligent woman who is a communications advisor. She soon had us sitting down and sharing refreshments with her. Her cozy brick home which is located within walking distance to the water and the famed Toronto boardwalk, is full of character; for the book lover, there are many, many books everywhere. It was an enjoyable evening as we got to know a little about each other before heading off to bed. The home was very clean and had all the amenities one could wish for, including a fabulous shower. Janet was very generous and told us to help ourselves to whatever we needed to make our stay there an enjoyable and comfortable one. Pippa and Chapman, who are both four year old rescue dogs, stole our hearts immediately! 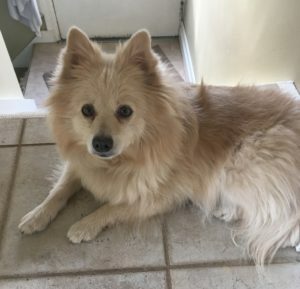 Pippa is a blonde Spitz with lots of energy. My husband started calling Pippa “Her Majesty” as she was the bossier of the two and very vocal about her needs and wants. 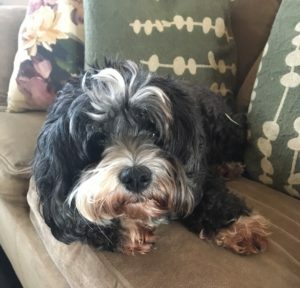 Chapman is a Shih-poo with the kindest eyes! He is not as boisterous as Pippa although he has his moments. He is definitely the quieter of the two and often took a backseat to Pippa. After a few days they trusted us enough to climb up on the foot of the bed to sleep at night where they stayed until morning. Both Pippa and Chapman were very low maintenance and did not require any special instructions or medical attention. As long as they went for their daily walks (it did not matter which direction to them), and of course had their treats afterwards, they were content. We felt very lucky to be able to spend our first house sit of the season in such a beautiful area and to have met Janet and her two beautiful pets. As this was the first house sitting experience for Janet, we kept her in the loop sending daily photos and updates so that she would know all was well and she could enjoy her vacation. We would definitely go back! From there we headed to Ingersoll and London where we spent some time with our good friends Judy, John and Randy before heading to Collingwood for a 10-day house sit, looking after two cats, Piper and Blue. Note: We hope you enjoyed reading about our house sit. If this is something you have thought about, then check out Trusted House Sitters. Presently, we choose to house sit in Ontario because of family plus we think it is great to explore the country you live in but you can go anywhere in the world. In fact, we are thinking about Australia or Portugal for 2020. Well it sounds wonderful and those two cute faces you had as friends who wouldn’t love. Great story. have fun on future travels. Hello Rachael. Thanks for stopping by. Yes, they were wonderful and cute. They certainly kept us very busy for sure.